Unique little home that has original woodwork, original hardwood floors, spacious back yard, 2 car garage, covered carport and central heat and air. 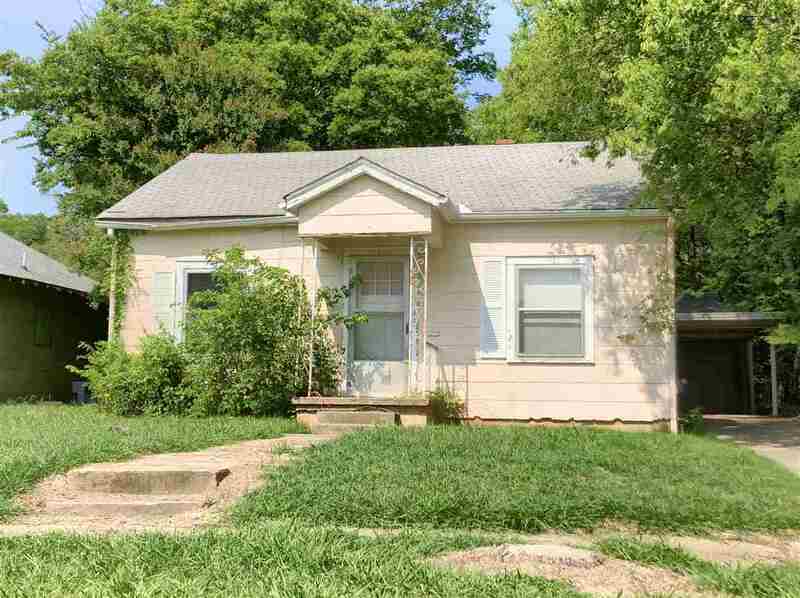 If you are tired of paying rent and looking for a place to call home then this could be the one for you. The layout is quite unique as it is a 3 bedroom home but could be used as a 2 bedroom/ 2 living area home as one of the bedrooms is a pass-through design. Back bedroom does have a door that goes outside. The washer and dryer are also located inside this room which appears to be an add-on. Priced to sell so take a look at this one before it is gone.